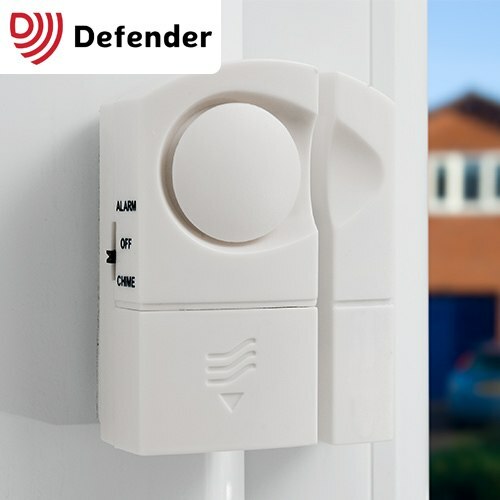 A handy, easy to fix, alert alarm/chime which activates when the door opens. Magnetic contact alarm which can be used to welcome visitors or to shock and deter intruders. Once the magnetic field breaks, the unit sounds either a welcoming chime or powerful 110dBs alarm.